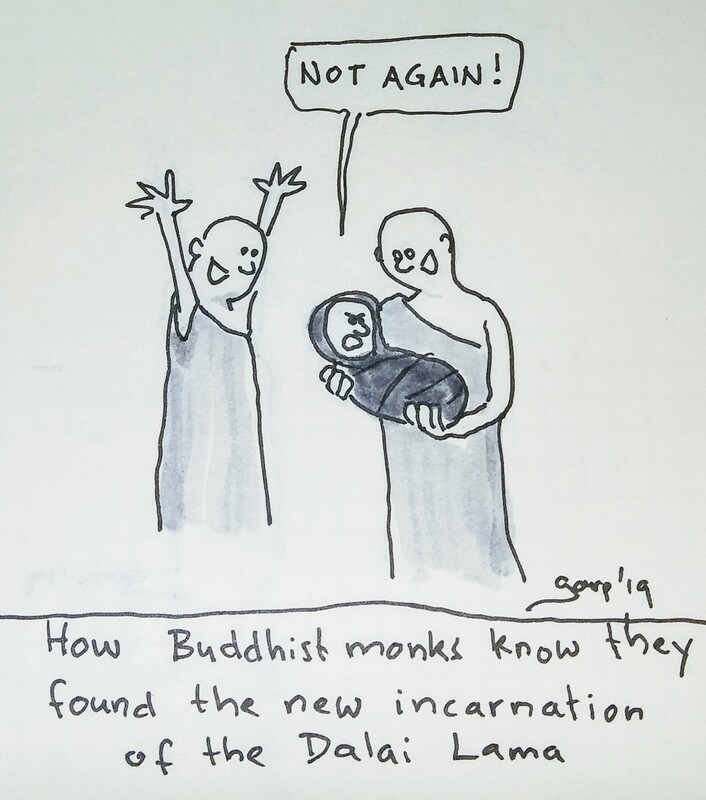 This cartoon is the result of an experiment : I challenged myself to come up with a cartoon starting from a random sentence as punchline. The random punchline that immediately came to me was “not again!”. I had no time to try it immediately, but a few days later on a bus journey I decided to give it a try and this is the result. here is a site that generates random sentences.